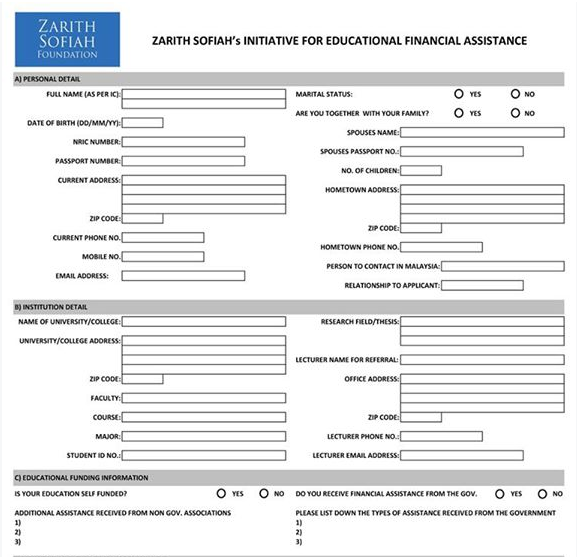 Students studying in United Kingdom (UK) and United States (US) who are having big problem resulted from the falling of Malaysian Ringgit (MYR) should apply for this Zarith Sofiah's initiative for educational assistance. Read on for more information about Zarith Sofiah's initiative. You may apply for the financial assistance via completing the form in our facebook page. b. Be enrolled or accepted for enrolment as a full time student in an eligible degree or certifcate program in Universities in the United Kingdom and in the United States. - You are not in default on any loans relating to your studies. - You will use the financial assistance solely for educational purposes. d. Maintan satisfactory academic progress. a. The length of the video must be in two minutes or less. b. Video can be documented using smartphones, digital cameras etc. Application submissions open from: 31st August 2015 and closing date is on 16th September 2015 at 12.00am. To those interested in applying for this program, click HERE for the form. For more and up-to-date information contact Zarith Sofia Foundation directly.